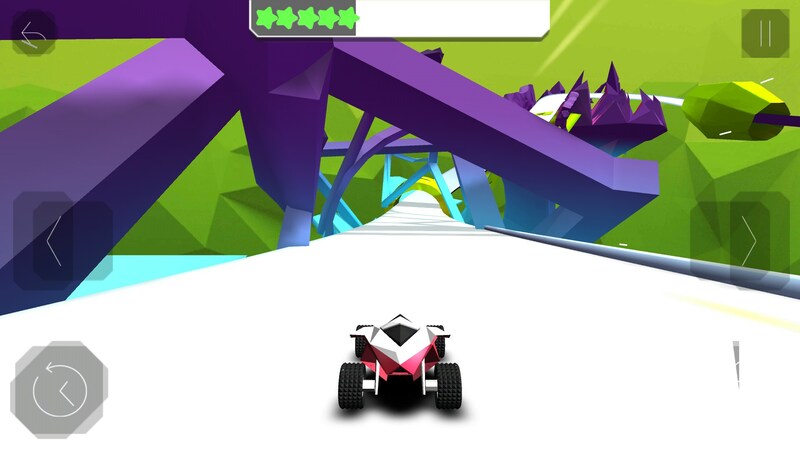 Stunt Rush - 3D Buggy Racing – Games for Android 2018 – Free download. 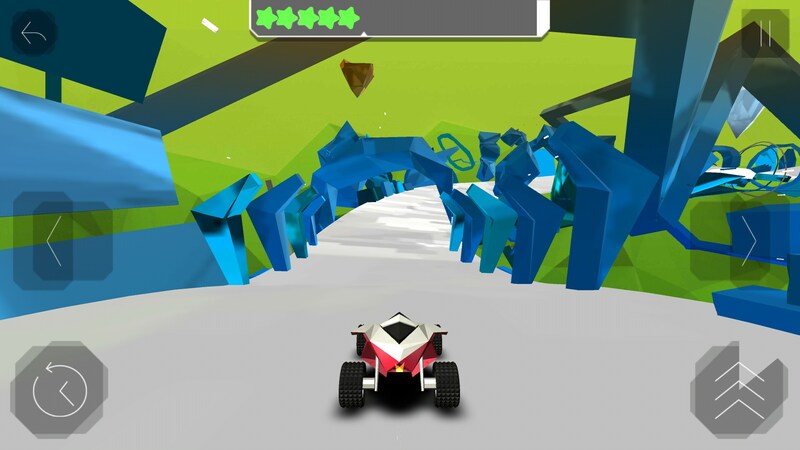 Stunt Rush - 3D Buggy Racing – Interesting racing on a painted worlds. 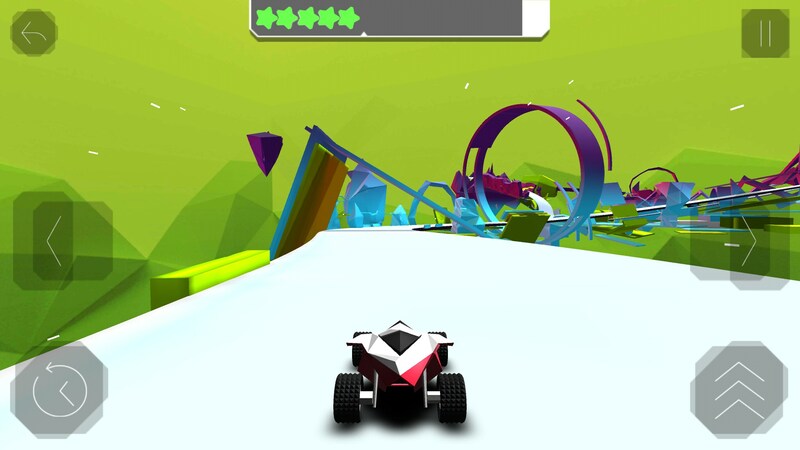 Stunt Rush for Android is a surreal racing game that has you whizzing round a gravity-defying track, jumping through the air, and even reversing the direction of time. It's weird, in the best way possible. 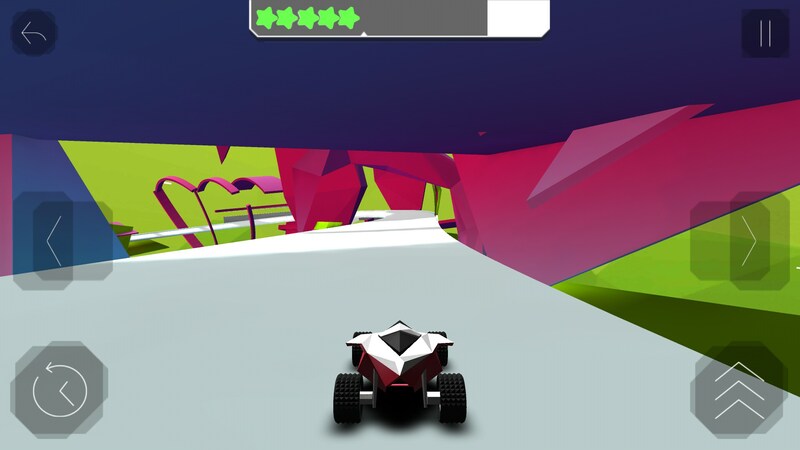 The graphics look like a cat has eaten a Picasso masterpiece and some neon paints; and then puked all over your screen. And I mean that in a good way! 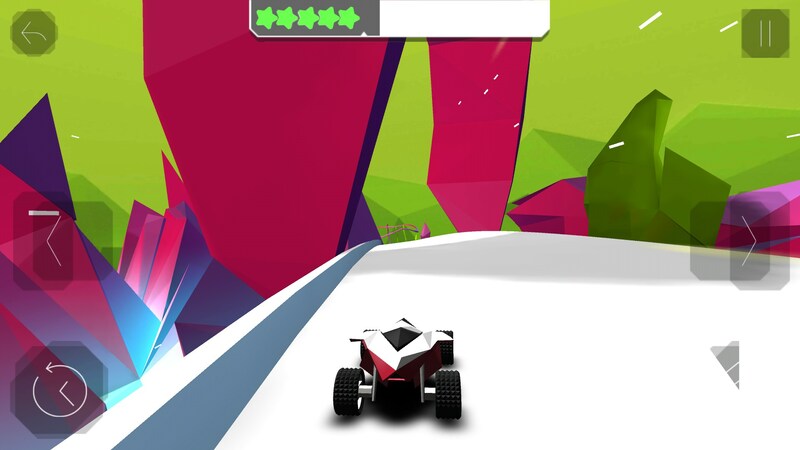 Well, the game certainly has an original look. This one has a 5 star system for each level, instead of the usual 3 star system in virtually every game. It’s also nice that you can see your stars disappearing as time counts down, so you know how it’s going, and exactly why you got the score you did. You need to collect enough total stars in order to unlock each new level in the game. 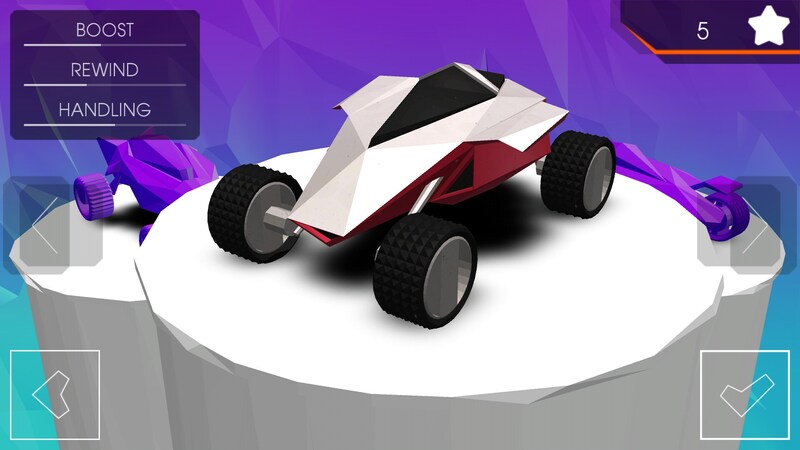 This keeps you playing, as the levels are so unique and interesting that you want to see what’s coming next. 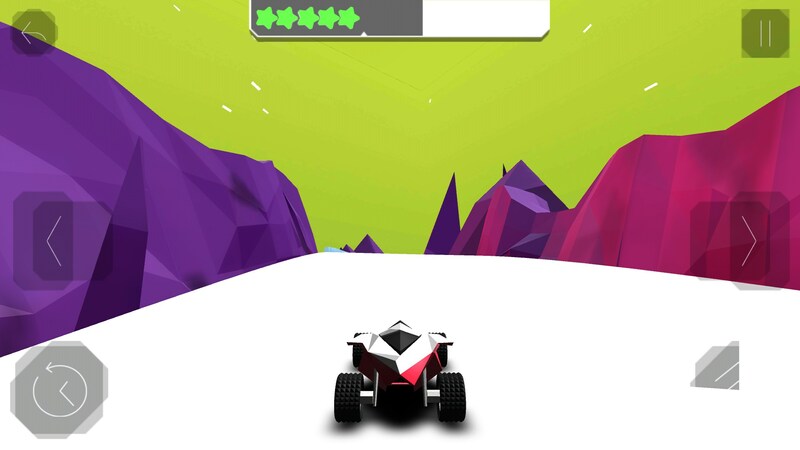 The controls are a left and right steer, a boost, and a “rewind”. Don’t they mean reverse? Nope! 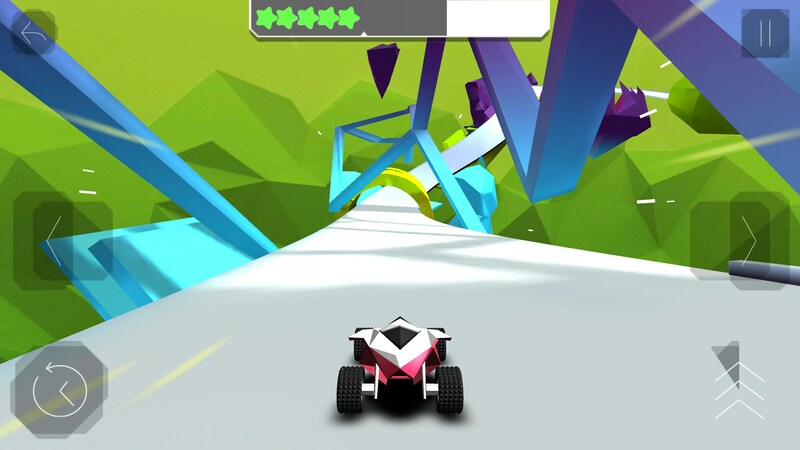 This button takes you backwards in time through the path you’ve just been racing along. You can use it to get out of tight corners; but be careful not to let go too soon or you’ll be locked in a little loop of time! I actually used this button after going off course and landing on a ledge, to fly backwards through the air and get back on the track. Sometimes it can be difficult to tell where the track actually is, but if you go to far off, or fall off the edge, you will be rescued. 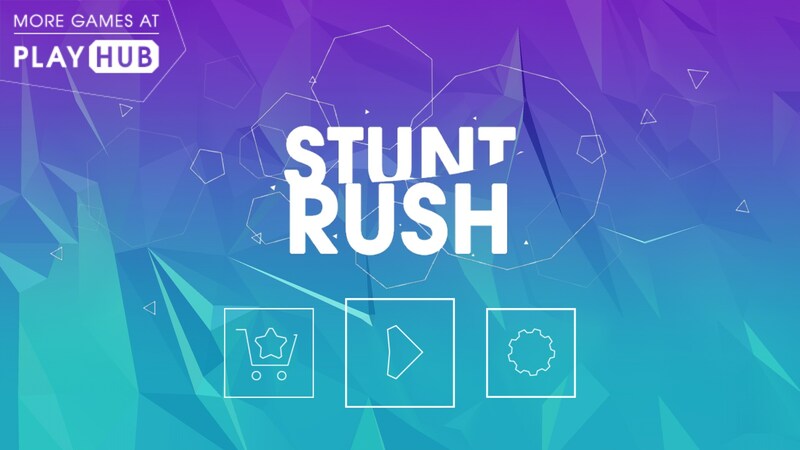 Stunt Rush leans more towards the kind of game where you should drive around carefully, rather than going all out full throttle. But the uniqueness has me hooked. To top it all off, the electronic soundtrack fits it like a glove, and will haunt your dreams. Think Kraftwerk meets A Clockwork Orange.